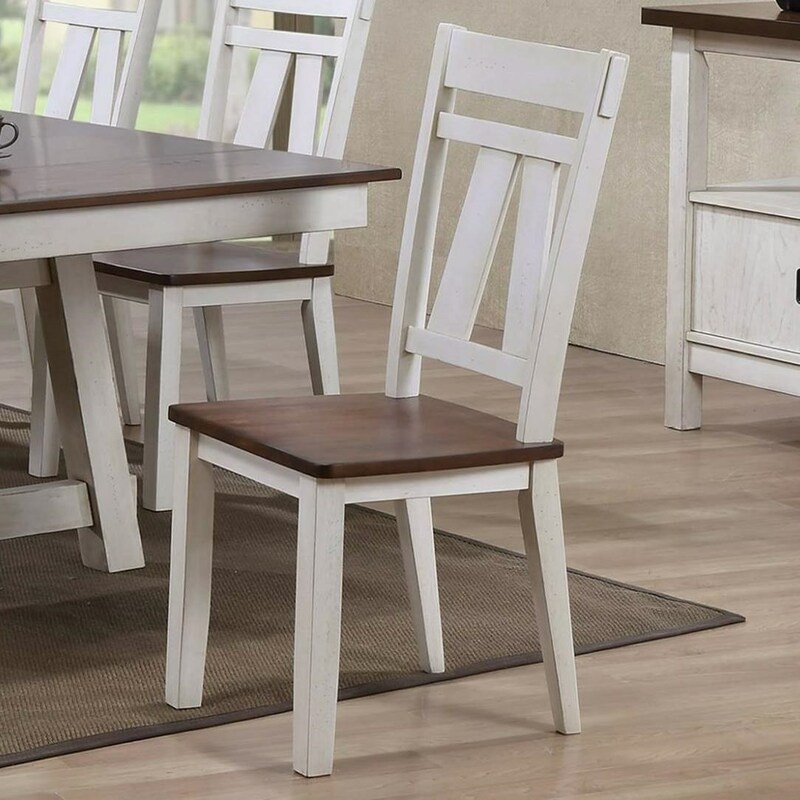 The simple farmhouse style of this splat back dining side chair gives it instant character for your home's dining space. It is available in a rustic cherry finish or a two-tone finish with a rustic cherry finish chair seat complements the off-white finish on the rest of the chair. The Winslow Splat Back Side Chair at Miskelly Furniture in the Jackson, Pearl, Madison, Ridgeland, Flowood Mississippi area. Product availability may vary. Contact us for the most current availability on this product.